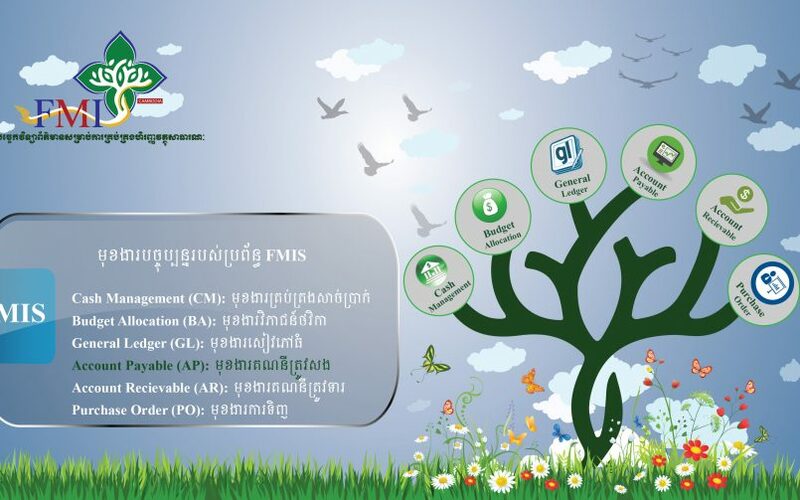 Requisition/ Capital Commitment: aims to record requisition or capital commitment of each entity of line ministries for purchasing goods and services. Purchase orders of good and service: aims to record operations of purchasing goods and services of each entity within the line ministries for the purchase of goods and services from suppliers as set in conditions of the contract once the procurement has been completed. Goods received note: aims to record information of purchase order of goods and services once the supplier delivers the goods and services in accordance to the agreements in the contract. Simultaneously, purchase order also divides the responsibilities of officials within the system such as the data entry/ modifier and the approver of the operation. Data Entry: is responsible for entering the operation, modifying, cancelling or terminating, cross-checking the information, budget monitoring, monitoring the report, submitting the operation for the approver’s consent. The Approver: is responsible for monitoring and cross-checking the actual transactions to approve. Furthermore, the approver may monitor and extract the report from the system as well. Users may extract information of the purchase order in the form of Ms. Excel from the system quickly. Monitor the budget automatically within the system to ensure that the requisition is within the budget ceiling with ease and time-efficient. Print the capital commitment, purchase order, goods and services received note as well as extract information like requisition report and Purchase order report.